What Is Open on Christmas in Rome? There’s reason to wonder. Many Romans do leave the city for their family homes over the holidays. Even so, there are still plenty of people left in this city of 3 million. 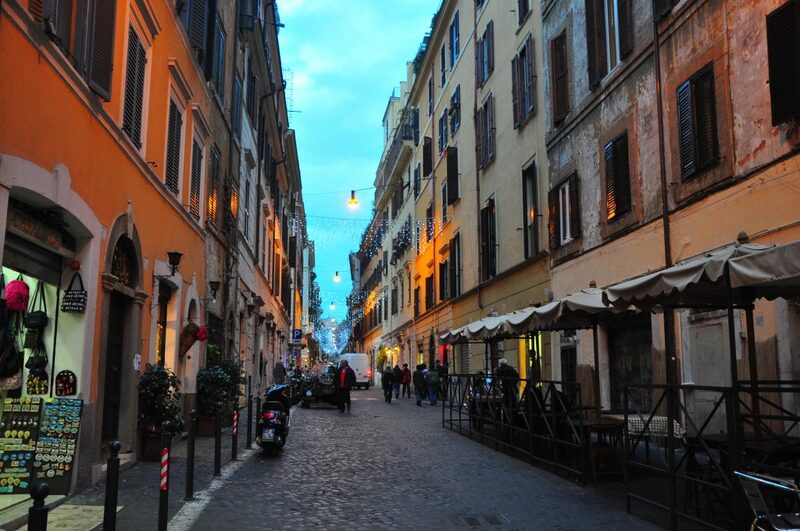 Here’s what is open on Christmas in Rome… and what won’t be. (New Year’s, too). (For more tips and tricks, don’t miss my ultimate guide to Christmas in Rome!). Will sites and museums be open during Christmas in Rome? While some museums and sites will remain open even on Christmas Day and New Year’s, most of the biggies will be shut. The forum, Colosseum and Palatine will be closed Dec. 25 and Jan. 1, for example, but open every other day as usual, including Dec. 24. 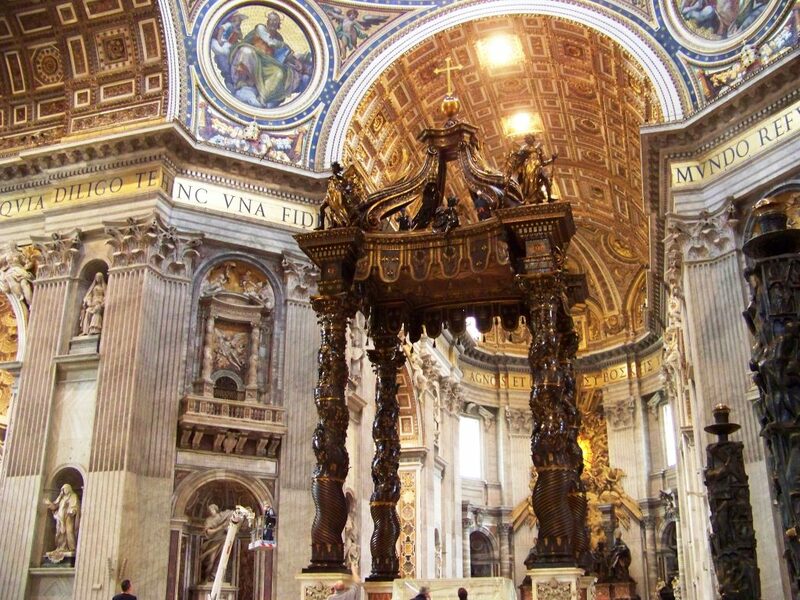 The Vatican’s a tougher one: The Vatican museums and Sistine Chapel are closed on Dec. 8, Dec. 25, Dec. 26, and Jan. 1. They’re also closed every Sunday in December and January, as usual, except for the last Sunday of each month, when they are open and free. Check with other sites individually. Here’s where you can find (in English) the hours for all of Rome’s major museums and archaeological sights. Outdoor sites like Piazza Navona and the Trevi Fountain, along with churches, also will be open. Will the bus and metro be running over Christmas in Rome? Yes. Often, the city even has an expanded service on Christmas Eve until the early afternoon. Service tends to end at about 9pm that night, though, and cabs are in very short supply, so if you need to be somewhere, give yourself lots of time to get there. On Christmas Eve, walking will probably be your best bet, so dress warmly! Will restaurants be open on Christmas and New Year’s? Most restaurants will be open every day except for Dec. 24, Dec. 25, and Jan. 1. Some others might close on Dec. 8, Dec. 31 and Jan. 6. But many places will also be open on even those holidays themselves, including both classic Italian favorites and the kosher restaurants in the Ghetto. Just remember to book in advance. Katie Parla has a nice little list of good Rome restaurants that are open over the holidays, including Metamorfosi, Romeo and Roscioli. I want to go shopping over the holidays. Can I? Throughout December and January, yes. However, most shops will close early on Christmas Eve and will not be open on Christmas Day. Other days some might be closed or have shorter hours include Dec. 8, Dec. 26, and Jan. 1. If you want the saldi, you’ll have to wait — usually, these after-Christmas sales kick off throughout Lazio on the third Saturday of January. Ah, churches! They will, of course, be open on Christmas; many will offer mass at the same time they’d usually have their Sunday service. If you’re interested in attending mass, check with the church in advance. Otherwise, you’re fine to visit most churches as usual, being, of course, particularly respectful and refraining from taking flash photographs if a service is going on. 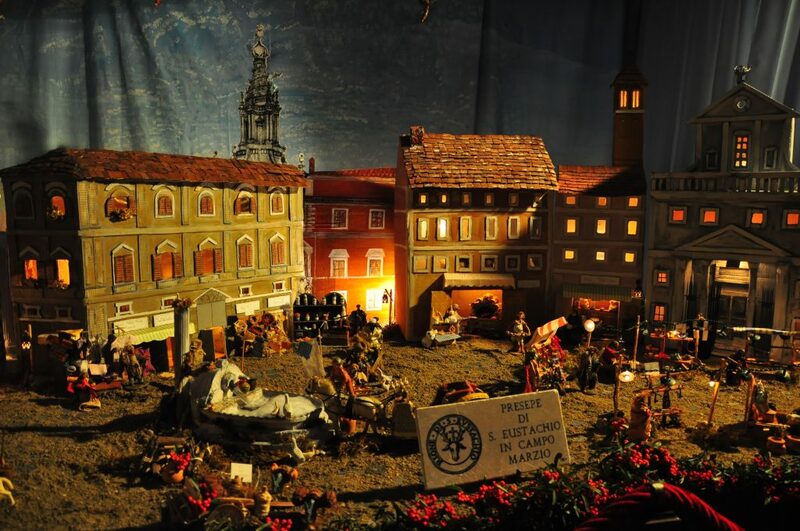 And don’t forget to check out the church’s presepio (Nativity scene) — a particularly Italian handicraft (see below) that is only on display this time of year. 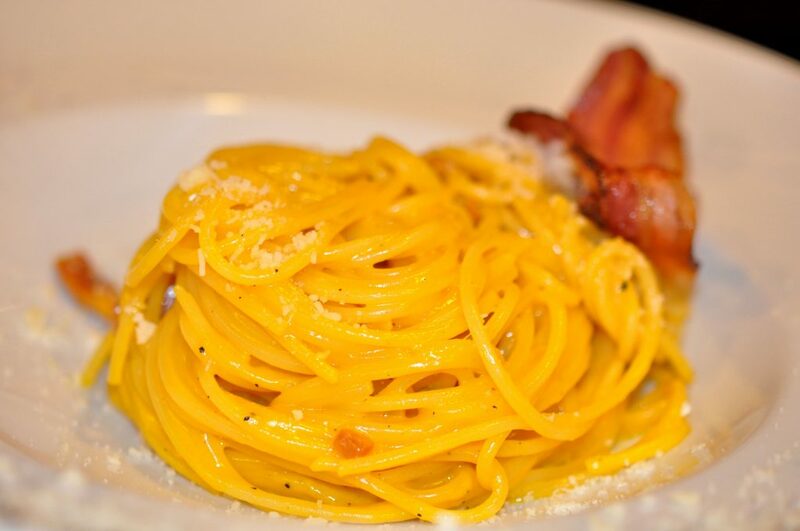 Also: Rome’s best Christmas markets, and 11 etiquette mistakes not to make eating in Italy. 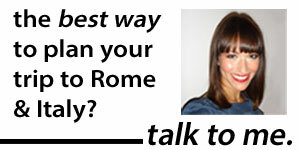 Want more great tips and tricks for Rome? Check out The Revealed Rome Handbook: Tips and Tricks for Exploring the Eternal City, available for purchase on Amazon, below, or through my site here! Rome’s Saldi Are Here, Rome’s Saldi Are Here! great info! thanks so much for the link. id like to add that settembrini is open for new years, though it will be closed for xmas. ciao! Thanks, Katie! Settembrini’s a great choice too. Thanks for stopping by!